The following Richmond personal trainers are found from our directory. These personal trainers can be hired / asked questions about their rates, services etc through our form below. Personal training is an excellent way to motivate, excel and reach your fitness goals towards a new you. My name is Julia and I am a mother of 4 young children and a certified personal trainer. My goal is to help my clients attain and sustain their health and fitness goals while enjoying the journey. I believe that change is possible with a positive mindset and the proper tools and motivation. When you have all 3…sky is the limit! Achieving your fitness goals can be much easier if you have someone to help you. Whether you are trying to become fit and active again, lose those last five pounds, develop a workout plan, or rehabilitate from an injury, it is more feasible to do so with professional assistance. One-on-one custom fitness training at a private gym facility offers the benefit of having a personal trainer close to your home. Certified professional with vast experience in personal training, weight and aerobics workouts, pilates, stretching, post-pregnancy and injury rehabilitation. Once your fitness level, body composition and health goals have been assessed, you will start a private training program tailored to your needs. You will be shown, explained and helped with each exercise. Each workout is unique and always fun. 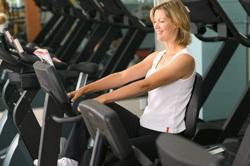 Light, modern and spacious gym is equipped with state-of-the art fitness machines. Treadmill, bicycle, multi-gym, bench, abdominal bench, dumbbells, easy grip barbell, olympic bar and weights stepper, balls will all be used during your workout. Utilities include changing room and shower. Bring your iPod to listen to your favorite tunes using gym audio system. Changes in your fitness level, body composition and measurements are constantly monitored, recorded and evaluated. On your fitness journey you will always know your starting point, current location and distance to your next milestone. I specialize in one thing: results. That is the one thing I am interested in. I like to think of personal training as a contract job. Together, we set a deadline, and work hard to reach that goal within the specified time period. What makes this so effective? There is no time to waste on ineffective training methods. Results come very, VERY quickly. Additionally, during our tenure, I will teach you precisely and methodically WHY the training was as effective as it was. 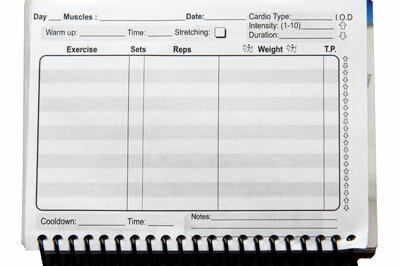 This knowledge will allow you to design your own programs, without having to rely on a personal trainer. Whatever your goal may be, I will work with you to help you reach your goals. The pursuit of excellence in body, mind and spirit. Personal Best Fitness Training is a step in the right direction; personalized fitness expertise tailored to YOUR needs and goals. What do you strive for? Improved cardiovascular capacity and strength? Weight loss? Want to improve your fitness and agility for your sport? Need a program to enhanced your health through a balanced approach to exercise? Each person is unique and my guarantee is to be committed to helping you reach your goals. Yoga Instructor for 7 years. I have completed numerous certifications to increase my education base. Lifestyle Packages: *No equipment is needed. Your Richmond personal trainer will provide everything you need to pursue health and better well-being.